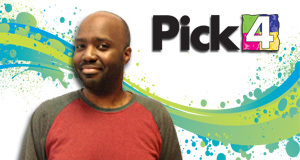 Desmond Foucha plans to "upgrade his life" with his $5,400 Pick 4 prize! The Harvey resident purchased his lucky ticket for the April 1 drawing at Racetrac #2469 in Terrytown. Desmond says this is his favorite Lottery retailer because of its "very kind and friendly staff." Congratulations!